Boko Haram operates as the world most deadly terrorist group, killing over 30,000 civilians and displaced 2,152,000 people in Nigeria, Chad and neighbouring Cameroon (IDMC, 2015). In its bid to counter the group’s insurgency, the Nigerian government launched series of counterinsurgency operations between 2010 and 2015, with varying degree of human rights abuses on both sides (Vanguard, 2016). For instance, since the insurgency escalated in 2009, the Nigerian military arrested over 20,000 suspected terrorists and arbitrarily tortured 8000 people to death (Amnesty Inernational, 2015). Similarly, Boko Haram has killed civilians and security personnel in cruel and horrofic ways (Samer, 2015). Nigeria is politically divided into six geo-political zones. The northeast geo-political zone belongs to the Muslim north. This economically backward zone comprises of Adamawa, Bauchi, Borno, Gombe, Taraba and Yobe states. The zone is home to Boko Haram terrorist group officially called Jamāʻat Ahl as-Sunnah lid-daʻwa wal-Jihād meaning, “People Committed to the Propagation of the Prophet’s Teachings and Jihad” (Ekereke 2013, p.5). Founded in 2002 by Mohammed Yusuf, Boko Haram (which imply “western education is a sin”) first clashed with the Nigerian police in a 5-day battle in July, 2009 (Andrew 2012, p.1). This led to the death of the founder and emergence of Abubakar Shekau, as the leader of the group. Under Shekau’s leadership, Boko Haram has attacked churches, mosques, markets, schools, banks, barracks, homes and motor parks killing over 4000 thousand people and displacing close to half a million in the northeast (Crisis Group 2014, p. 2). This has had serious political and economic implications for the poverty-stricken northeast zone. Terrorist activities have strategic implications for national economic development. It is believed that terrorist operations can disintegrate the country as well as halt economic growth (ICG 2010, p.4). Continuous terrorist attacks are capable of undermining scientific and technological security of Nigeria. Many analysts have described President Goodluck Jonathan’s economic reform as an effort that may yield no results due to the insecurity in the northeast (UNCTAD 2014; Utomi 2014; and Ajao, 2014). In other words, the problems with the nation’s economy are directly linked to insecurity in the northeast. For instance, President Gooduck Jonathan went to Australia for a summit with about 500 delegates and could not attract foreign investors due to insecurity in the northeastern part of the country. He also went to France with about 300 delegates and could not woo foreign investors to the country. This line of argument is supported by Pat Utomi who opined that the issue of investment is also about the issue of security. No investor will come to invest in Nigeria with the current security challenge (Pat Utomi 2014, web). In certain parts of Nigeria, there is currently an immense humanitarian crisis caused by several factors that have forced victims to flee, thereby turning them into refugees, while others have succumbed to the conditions and are considered internally displaced persons, making the economy of the region to become underdeveloped. Writing about Boko Haram is a difficult task, as researchers have very limited access to first-hand information. Indeed, foreign and national researchers find it almost impossible to conduct fieldwork in north-eastern Nigeria, where their security cannot be guaranteed. Recently, as the core of the conflict has seemed to be moving away from Maiduguri, capital of Borno, to the confines of Nigeria, the shores of Lake Chad and along the Cameroonian border, available information on the conflict has become even scarcer. Such difficulties contrast with the pressing demand of the Nigerian public and the international community alike for intelligible analyses of the situation, particularly from an economic development perspective. While efforts have been made by scholars to investigate the problems of Boko Haram in Nigeria, none has done so within the purview of the economic development of the northeast states. It is, therefore, the intent of this study to examine the impact of Boko Haram insurgency in Nigeria with special reference to the northeast geopolitical zone. Hence, a specific goal will be to illuminate and explore the Boko Haram terrorist group and to look into how they exert their influence on the economic development of northeastern states of Nigeria. 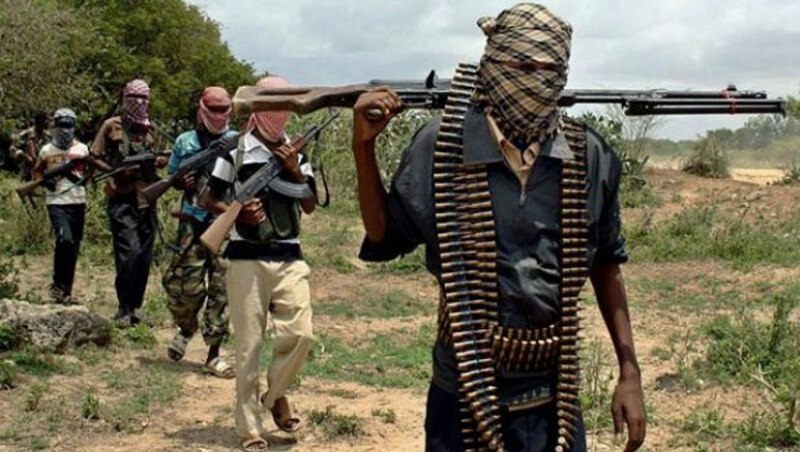 What is the effect of Boko Haram attacks on internally generated revenue of Adamawa State? What is the effect of Boko Haram attacks foreign direct investment in Adamawa State? What are the social effects of Boko Haram terrorism on the cultural growth of the people of Adamawa? What is the effect of Boko Haram Insurgency on local industries and agriculture in Adamawa State, Nigeria? This study covers the effect of Boko Haram Insurgency on Socio-Economic Development in Adamawa State, Nigeria. The study, therefore, discusses the concept of terrorism, economy and politics. The analysis explores why internal terrorism occurs in northeastern states of Nigeria, and the factors which facilitate this. The target population are those directly affected by the insurgency. The period covered is from 2009 to 2017. This chapter reviews literature on the Boko Haram Insurgency. The literature is presented under sub-headings derived from the study’s research questions. Gaps to be filled by the present study are highlighted. The theoretical framework will explain the tactics of Boko Haram which involve political assassinations, intimidation, assassinations of Muslim clerics, drive by shootings, kidnappings, suicide bombing, guerrilla warfare, bank robberies, attacks on churches, attacks on Muslims, attacks on universities, attacks on newspapers headquarters, and finally on international targets, most notably the UN. This chapter deals with the methodology and the research instrument to be used in getting data for the study. This study uses a descriptive survey type. The target population consists of all IDPs who evolved as a result of Boko Haram in Adamawa State. A questionnaire will be used as an instrument for data collection. The relevant statistical tool in the SPSS will be used for data analysis. The sampling procedure adopted in this study was simple random sampling technique. This method means that individuals in the population have an equal opportunity to be selected for the sample. In this chapter, the researcher will analyse the data collected for the research work and interpret it according to the research questions and one hypothesis formulated in chapter one. In analyzing the data collected from the respondents, simple percentage method of data analysis will be adopted for demographic data. To test the only hypothesis in the study, Chi Square statistical tool will be adopted. Chi-square (also referred to as χ²) analysis will be used to analyze the data collected. Boko Haram is ranked the world most deadliest terrorist group, killing more people than the dreaded Islamic State (Vincent, 2016). The group has killed over 30,000 civilians since 2009 and displaced over 2,152,000 people in Nigeria, Chad and neighbouring Cameroon (IDMC, 2016). Boko Haram pride itself as Jama’a Ahl as-Sunna Li-da’wa wa-al Jihad (People Committed to the Propagation of the Prophet’s Teachings and Jihad), and fights to enforce strict Sharia on Nigerians (START, 2014). This thesis analyses government response to Boko Haram terrorist attacks within the framework of counterinsurgency operation. Nigeria’s political landscape is complex. It is divided into six geo-political zones which comprises of Adamawa, Bauchi, Borno, Gombe, Taraba and Yobe states. The northeast zone is home to Boko Haram terrorist group. Yoruba and Igbos dominate the south most of whom are Christians while the north is predominantly Muslim. Since 1960 when Nigeria gained independence from Britain, the north has remained poor and impoverished. Also, the corrupt nature of the government officials and politicians paved way for the rise of condemnations and the spread of emergence of extremist ideas. By 2002, Abubakar Shekau emerged as the de facto leader of Boko Haram group. Under Shekau’s leadership, Boko Haram carried out massive attacks mainly on churches but later spread it to barracks, police stations, motor parks, mosques, markets, schools, and banks killing people irrespective of ethnicity and religious affiliation (CrisisGroup 2014, p. 2). From 2009 onward, the group became more violent in its spate of attacks. It carried out insurgency operations aimed at replacing the structure of government with Islamic principles. In essence, Boko Haram fought to take over the Federal Government of Nigeria (Campbell, 2013). This, they tried by taking over 20 local government areas in the northeast (Yusufu and Joel, 2015). This attempt has forced Nigeria to defend her territory with series of counterinsurgency operations. Counterinsurgency operations has been well researched in the military circle. Counterinsurgency (COIN) is primarily a political struggle and incorporates a wide range of activities by the host nation (HN) government of which security is only one,albeit an important one. The HN government in coordination with the chief of mission (COM) should lead the COIN efforts. When the operational environment (OE) is not conducive to a civilian agency lead for the COIN effort within a specific area, the joint force commander (JFC) must be cognizant of and able to lead the unified action required for effective COIN (JP 3-24, 2013). However, the media – both local and international – have shaped the ways and manners Boko Haram insurgents operate by reporting live events or leaking highly classified counterinsurgency operation. This area of counterinsurgency is under-researched. It is the intent of this study therefore to find out the role of the media (electronic, print and social media) in information management and national security using selected events in Nigeria as case study.